Basil serves a range of curries inspired by the Indian royal court, showcasing dishes from across India. 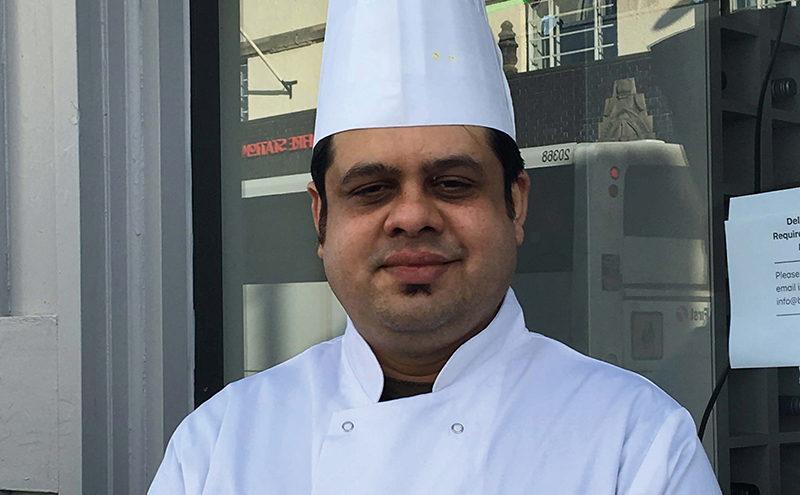 Head chef Bishnu Neupane draws on experience from some of the most respected Indian restaurants in the UK. Over 25 years. I always wanted to be a chef, inspired by my mother’s fantastic cooking and having eaten really good food at home. Working in London at Benares, a Michelin-starred Indian, for a time, along with several other acclaimed London restaurants, such as Chutney Mary, and then returning to Scotland to head up Basil. Sourcing authentic ingredients and maintaining those channels to keep up consistently high standards – I don’t like to compromise. The food we serve at Basil is inspired by the lavish dishes of the Indian royal court. There is colour, spice and fantastic plating which entices the eye and the tastebuds. Very hard working and loyal, a great team who understand my food and what I am trying to achieve at Basil. Salmon – I love it. Grilled salmon or seabass for my family. Junk food – I don’t eat it! Hard work, dedication, commitment, all of these attributes. But an abiding love of good food – this is what I have and have had from a very young age when I was enthralled by my mother’s cooking! Keep it seasonal and consistent. Chop herbs when they are dry, not wet. GS Thapa, an Indian chef. He is not alive anymore but he was a huge inspiration to me. Family time – more cooking, really, as I love to cook for them and make them happy through food! At home with my family with recipes passed down through the generations which remind me of my mother. I would invite other professional Indian chefs and again we would just eat at my home in a relaxed atmosphere and discuss food ideas all night!